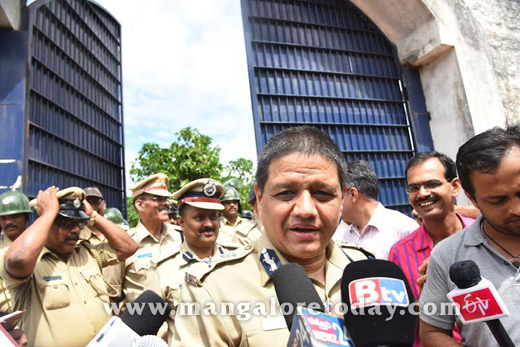 Mangaluru, Nov 3, 2015 : ADGP and IGP (Prisons) Kamal Pant visited the District Jail in the city on November 3, Tuesday in the aftermath of the November 2 clash among under trials that led to the death of two of them namely Madooru Isubu and his associate Ganesh Shetty. Speaking to media men after visiting the prison and taking stock of the situation, he said the Department has taken the incident very seriously. A thorough internal enquiry is underway to know how the under trials got weapons in their hands, he said adding Anand Reddy, Superintendent of Mysuru Prison has also been asked to investigate the case. 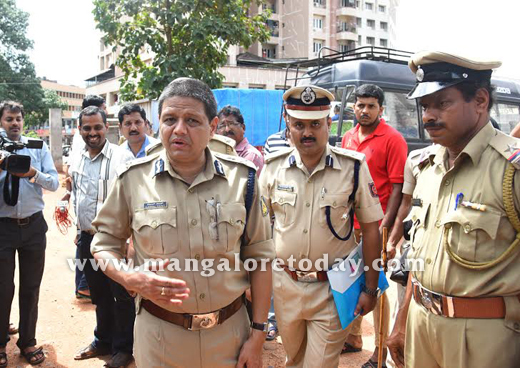 Assuring stern action with regard to the incident, he also stated that he would be meeting Mangaluru Police Commissioner to discuss the issue. On reports that one of the under trials Mohammad Basheer was missing, the IGP said he was not missing but was in the jail. "He was hiding out of fear following the clash," he added. The IGP also stated that stern action will follow if any jail staff was found to have been involved in the November 2 clash. He further stated that nearly 40 CISF personnel would be deployed in the prison as a security measure within the next 15 days and added a proposal has also been placed to install additional CCTVs in prisons. 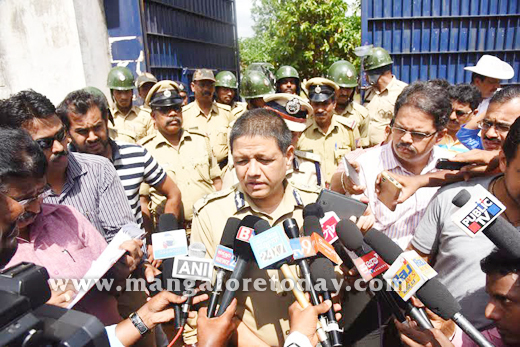 He also pointed out that there were no CCTVs in the old prison building in Mangaluru. The IGP informed that as the new prison building which can accommodate 200 inmates, presently has 400 inmates, some would be shifted to the old building. He also refused to comment on the cause of the clashes. Fingers pointed towards jail staff : In another development, an under trial named Faizal who was being taken to court on Tuesday told some media men that the clashes that led to the murder of two inmates were abetted by the jail personnel. "A jail staff named Chakresh had brought a knife in a blue colour packet and had handed it over to the accused on November 1 Sunday night at around 11.30 pm," he alleged. ’’Jail staff Puttanna and Rajesh opened the cell of the first accused on Monday though usually , some other cells used to be opened first," he claimed. Faizal also stated that he has passed on this information to ADGP Kamal Pant who visited the prison on Tuesday.